The rupee drifted sharply to hit a fresh session low of 66.70 in late afternoon deals. Mumbai: The rupee remained under immense pressure for a second straight day, falling 18 paise to end at 66.69 against the US dollar on Thursday, on Federal Reserve rate hike concerns. Robust demand for the American currency from importers and state-run banks alongside sustained bouts of selling in local equities added more pressure on the local currency. The domestic unit resumed lower at 66.56 as compared to Wednesday's closing level of 66.51 at the interbank foreign exchange (forex) market and moved in a narrow range. After a relatively subdued trading in early part of the day, the local currency drifted sharply to hit a fresh session low of 66.70 in late afternoon deals before ending at 66.69, showing a sharp loss of 18 paise, or 0.27 per cent. In worldwide trade, the dollar continued to gain ground against the major and most emerging market currencies on the back of better-than-expected US economic data which has boosted expectations for a December Fed rate hike. The dollar index, which measures its broader strength against a basket of currencies, rose 0.30 per cent to 96.42. The Reserve Bank of India on Thursday fixed the reference rate for the dollar at 66.5699 and the euro at 74.6515. 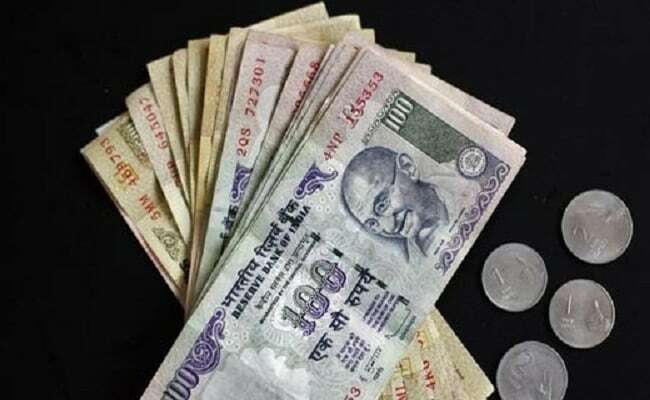 In cross-currency trades, the rupee strengthened further against the pound sterling to close at 84.50 from 84.62 and also firmed up further against the Japanese yen to finish at 64.33 as compared to 64.54 per 100 yens on Wednesday. The rupee, however, weakened further against the euro to settle at 74.61 from 74.59 earlier. In the forward market, premium for dollar continued to reel under pressure due to consistent receiving by exporters. The benchmark six-month premium for March slumped to 171-173 paise from 179-181 paise and the forward-September 2017 contract also fell sharply to 349-351 paise from 356.5-357.5 paise the previous day. Domestic equities remained under immense selling pressure due to hectic profit-taking despite bullish overseas sentiment. The benchmark BSE Sensex settled at 114.77 points lower at 28,106.21, while broader Nifty shed 34.40 points to 8,709.55. Foreign portfolio investors (FPIs) continued to infuse money in the Indian bourses and bought shares worth a net Rs 243.00 crore on Wednesday, according to provisional exchange data. Meanwhile, crude prices maintained its bullish momentum for the third-straight to hit a three-month high of on larger than expected US inventory decline data. Brent crude is trading at $51.80 a barrel after retreating barely 0.1 per cent from a four-month high overnight.